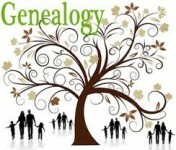 Thought someone may be interested in why I became interested in genealogy. My Dad used to tell me that one of his ggfathers was the first Baptist minister to preach west of he Miss. River. As I was in school I always liked history. I kept thinking to myself: Can that really be true? This is Louisiana ( mostly Catholic). So I researched it and it is true .I have corresponded with other folks(distant cousins) and they all heard a version of the same story. He came from South Carolina and made his way to La. in the late 1700’s founded many churches and is buried in Rapides Parish. He left many Baptist descendants, myself included. Years ago, while searching for my Mother’s father’s family, I decided to have a search done in the Alabama Archives. I had done so much through that office that I had developed a relationship with one of the personnel in that department. It didn’t hurt that her husband might be related to me on my father’s side. One day, a few weeks after ordering the search and having paid my monies to the office, I got a phone call. My new-found friend had news for me that she just could not wait to share with me. In searching for my Great grandfather, Andrew Jackson Bass(1830-1862), she had found a long-lost letter just sitting in their records. It was a letter, dated October 31, 1862, that had been penned by my grandfather, just three weeks prior to his death at Camp Lee in Richmond, VA ! Now, whether or not this is truly Grandpa Andrew’s hand or not, I cannot honestly say, but the letter did contain his words to my Great Grandmother, Ellen Davis Bass. In this letter, he called her his “dear wife” and the children “our precious little children”. He hoped to be sent home before Christmas as he was not well and had rheumatism. But, alas, this was not to be. He died from the measles just three short weeks later. If you go to ancestry, you may read his letter there or you may find it by simply doing a Google search. I transcribed the letter to the best of my abilities. It was not in good shape, but oh, what a treasure to have this and to be able to share that with all of the family!! 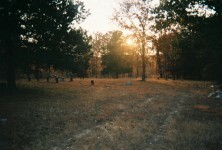 Grandpa was laid to rest at Hollywood Cemetery in Richmond, in grave S333, very near the Confederate monument. I had the honor of being the first member of his family (as far as anyone knows) to stand at his grave. You can imagine the tears I shed that day. I simply told him I had found him and that we all love him. Sounds like we are related. 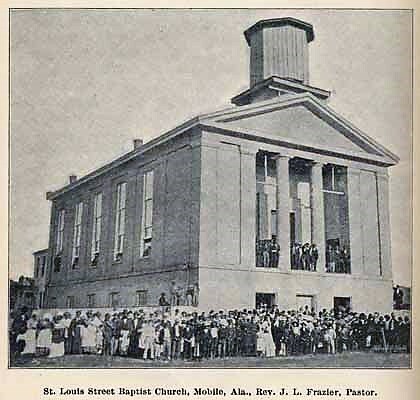 Who was the GGGrandfather that was the first Baptist Preacher west of the Miss. River? Did it happen to be Henry Humble? He is my GGrandfather. My granddaddy started six churches in north ‘Bama/lower TN. I have traced back ,on my fathers side, to early Alabama settler and plantation owner Simon Andry. His homestead was next to the Chastain’s which is now in Washington County along the river. 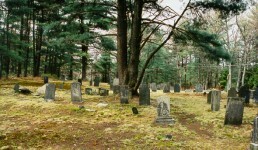 There is still a family graveyard off highway 43. Some of the families later changed their names to Andrews. Love geneology. This is why I research. We are the ones who can tell their stories. Very nice story. I have had the pleasure of standing on my paternal great grandfather’s land In Texas. His parents and grandparents left Talladega County after the 1840 census when he was just a small child and headed to Texas. William Henry Funderburg was living in Alabama in 1841 when the cotton crop reigned as lifeblood to the state’s economy. Something happened to his parents not long after arriving in Texas pre 1850 and he and his siblings were left to live with their grandparents in Hopkins County. After he and his brother grew, they both homesteaded adjoining lands in the early 1870’s just outside of Palo Pinto County. They had to live on that land for 3 years and sold it in their land in 1875. I have acquired those land records and knew where the land was so my husband, son and I took a day trip to this land. It makes me feel good to know that I am probably the only descendant to step foot on his land after he sold and moved into another county. I grew up hearing stories about a gg-grandfather who was killed at Shiloh and about another one who was a country doctor in Blount County. Also, we always went to decorations at cemeteries and those old graves were fascinating for me. As I’ve always heard in genealogy, for every answer I found five questions popped up. After over 15 years of discoveries, the life of the man who died at Shiloh is still much of a mystery. I have always heard John Quincy Adams is our great-great grand father on my daddy’s side of the family and we are Choctaw Indian on my mother’s side. Most of what the family have produced is more locally and only to a grandmother level. Also, I would love to research this but have stalled— I want to know the family tree but I also want to know what their lives were about, i.e. how did they make their living, Can anyone tell me how to go about this…?? The bottom line in genealogical research is that you are going to have to pay for it. You cannot manage without the basic building blocks of certificates and census returns, and money can be liberally spent in travelling to archives, paying online fees, hiring private researchers and whatever else you deem necessary as you continue your research. 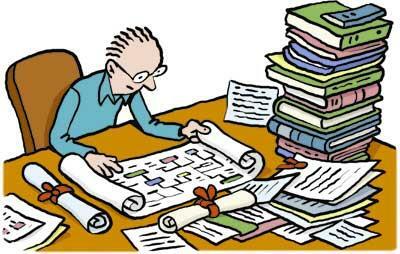 But there are good reasons why more and more genealogists are going online. There is nothing to match the feeling of being there where events took place or smelling the musty odors of old documents that may not have been opened in many years and seeing your family come to life in your hands. Standing beside a long lost grave of a distant grandparent and knowing that their DNA is part of who you are and then telling them that you live them as described in the article is simply amazing. Ron’s comments are what I have also found in my research for forty years. One other suggestion that may prove helpful is to go one of the regional genealogical libraries, such as Clayton Library in Houston, and do your own research in the musty files and books. 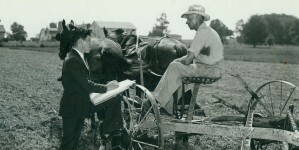 It is “old school” research for sure, but the thrill of doing your own research is worth the effort. At first my interest was to follow up on a letter my great-uncle had written to my grandmother in 1942 with all he remembered of names and dates that he’d researched. His house and the family bible had been lost in a fire and he wanted to record the information before it was gone for good. Many years later I started following the trail of that letter and wound up tracking my mother’s line to South Carolina before the Revolution. By then the people were no longer just names and dates but living entities whose lives still impacted mine. Several fought in the Revolution; others moved west in the 19th century. I read letters and news notices and found that my 4th great grandmother had died the day after giving birth to her 9th child on that trip west. All of them had finally merged into the one descendant in my generation—me. So I started putting everything together so my own children would know what their own ancestors had gone through to finally arrive at their generation. Then I started on my father’s side, going back to the Norman invasion of England. Imagine what they all went through. For us to be here, our own ancestors had to escape or recover from the Black Death, survive wars and famines and revolutions. As astronomer Carl Sagan said, “We are star stuff,” but we are also the sum of all that has gone before. It’s an awesome and humbling heritage to pass on to those who follow. Thanks fellow Alabama Pioneer’s for all the knowledge passed forward on our search for ourselves. Ain’t it fun? And thanks to Donna Causey for the inspiration she brings to us always!!! 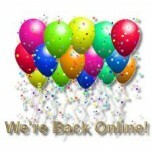 What a wonderful idea Donna came up with to extend her hobby into a web site many enjoy. re: Charles Moore letter of July 28, 2015. I bought a copy of the book of Susan Moore, Blount County, Alabama where the moore family is documented. Went to school there, I went to school with a charles Moore and his mother Mrs. Moore was the English teacher. Good memories. Have you read it? My reason came from my dad telling me about his grandmother (my nana) sharing when she came to California on a wagon train and her ancestors before that had come on the Mayflower! Well…..I had to start finding this out after seeing the iconic show “Roots” on tv back in the day. I did find the Finches coming on the Winthrop fleet 10 years after the pilgrims in 1630. Still have not found evidence of the actual wagon train but have found them in CA in 1875. Used to hate history until I made the genealogy connection! What a fun hobby and passion. Thanks to your inspiration daily! I am related to Ms. Williams; we have Andrew Bass as a common ancestor – he was my GGG-Grandfather. The things you find out on the Interwebs!